A tireless advocate for genealogists with Michigan ties, Lansing’s Randy Riley (pictured to the left of presenter William Forsyth, ProQuest Director of Product Management) has overseen the digitization and indexing of the 1870 Michigan Census, helped build the Library of Michigan’s family history collection into one of the premier resources of its kind in the United States, and presented hundreds of workshops and programs for librarians, genealogists, and local historians. On April 30, 2010, Riley, Manager of Special Collections for the Library of Michigan, was recognized by the National Genealogical Society with the 2010 William Filby Award and $1,000 for his significant contributions to the genealogical community. Significant contributions to patron access to information, or to the preservation of historical records. Development of an imaginative reference tool or similar outstanding contribution of enduring consequence that fills the gaps in existing information, accuracy, scope or usefulness of genealogical and local history materials. Publication of a book or body of articles that have contributed significantly to the field of genealogy or local history and that are of interpretative nature. Other activities that have significantly advanced genealogy and local history. Work that has encouraged others to be innovative in the field. Randy Riley's many accomplishments include overseeing the integration of online and paper version of the Cemetery Source Books for the State of Michigan; creation of a genealogical database on the statewide Michigan eLibrary system; and supervision of the digitization, indexing, and publishing of some 1 million death certificates for the Seeking Michigan web site. He is editor of the Michigan Genealogist newsletter and serves as advisor to the Michigan Genealogical Council. Nominations for the 2011 Filby Award are being accepted now through January 31, 2011. Please visit NGS’s guidelines page for details. 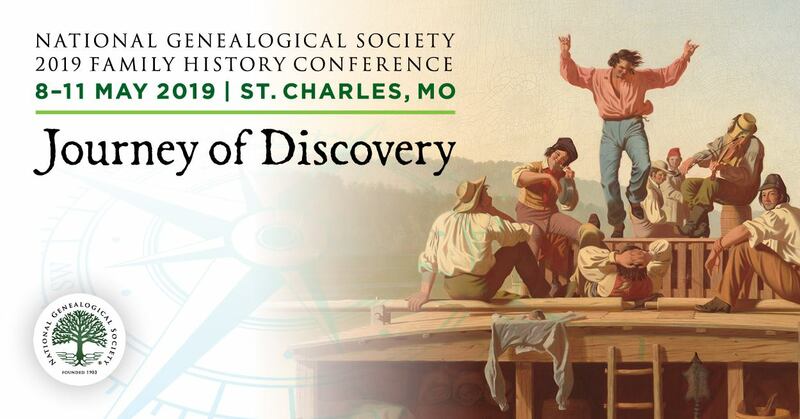 Founded in 1903, the National Genealogical Society is dedicated to genealogy education, high research standards, and the preservation of genealogical records. The Arlington, VA-based nonprofit is the premier national society for everyone, from the beginner to the most advanced family historian, seeking excellence in publications, educational offerings, research guidance, and opportunities to interact with other genealogists. Please visit the NGS web site for further information on member benefits. Too bad that the State of Michigan will not be supporting or funding the Library of Michigan. They are proposing redistributing the collection and closing the Library. In its place they are hoping to put an emerging technologies center....so much for history.